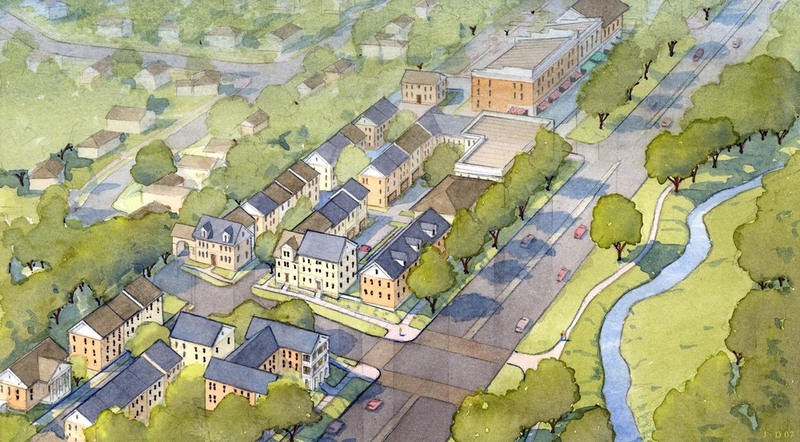 Fairfax Boulevard has the opportunity to become a model for corridor redevelopment. Its current condition as a road that caters to pass-through traffic, rather than the needs of the local community does not enhance Fairfax’s overall character. The plan for Fairfax Boulevard is a comprehensive strategy for growth and redevelopment of the corridor; it seeks to improve the safety and operational efficiency for all modes of travel, while creating a more economically productive address. “Designing in public”, the team of planners, engineers, architects, and economists conducted an open planning process in March 2007 to identify the ideas, needs and concerns of the community; over 500 interested residents and stakeholders participated. The plan envisions that Fairfax Boulevard can be more than just improved; it can be one of the most memorable streets in America.